Mama Jamira is the midwife at heart of the OneMama Uganda Clinic. Jamira is a traditional birth attendant (TBA), otherwise known as a traditional midwife in Uganda. Since 1982, she has been working out of her hut in order to provide care for mothers giving birth. She has had training for a midwife certification with a special focus on HIV prevention. She is also inherently gifted in her practice, using specialized herbal medicine for the women and babies who are under her care, and therefore has much respect throughout her community and other neighboring communities. Yet, Jamira does not have any medical supplies, funding, governmental support, or even beds for her patients. The conditions she works in are unfathomable by most. Jamira represents many traditional midwives in Uganda, and hundreds of thousands more around the world. Even with her extensive knowledge and understanding of traditional midwifery, she struggles against strong odds: HIV, Malaria, extremely poor conditions, and little help. She is one of many courageous women in her day-to-day efforts to help women and infants who may otherwise succumb to sickness or death during childbirth because they lack access to family planning, prenatal and postnatal care, and financial stability. At times, a single midwife nurtures the mothers and infants of an entire community – thus, quite literally being one mother for all: OneMama. Traditional midwives are the heart of rural communities in Uganda. A majority of its women have their babies through a traditional midwife. 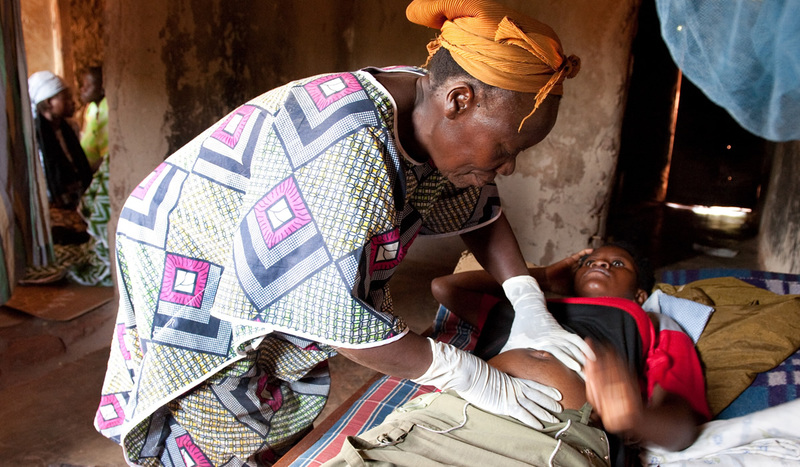 A Ugandan midwife may have anywhere from 1-5 women come to her aid each day. Generally, midwives ask their clientele to bring either a birth kit or about $3.00-$5.00 to cover the kit’s cost. The majority of clients do not have either of these for the midwife (the average Ugandan makes only $1.00-$2.00 a day). Instead, women often come hungry and in need of nourishment in order to have the energy to give birth properly. Midwives frequently feed clients from their own food supply, sacrificing personal sustenance. With such little income, many women have nothing but gratitude to give to their midwives. Traditional midwives use their own supplies (gloves, antiseptic cleaners, scissors, traditional herbs, medicine, bandages, testing equipment) when available. Yet, because many midwives do not receive payment for long periods of time, supplies are scarce. Midwives must persevere without supplies for the sake of their clients. To proceed without the necessary resources can be very precarious for the woman, infant, and midwife. With no provisions, women and infants are at risk for infection. And, traditional midwives are susceptible to any disease (such as Malaria or HIV) their clients may have. Lacking proper testing equipment, these midwives must treat every woman and infant with extreme caution because so many of Uganda’s people are infected with HIV or Malaria. Traditional midwives help women and infants overcome great adversity, and in doing so risk their own lives. Imagine working amidst such danger. Imagine living without the resources available to many of us today. As little as $2.00 can help save the life of a mother and her baby. Do your part to support these traditional midwives, women, children, infants, and the men who love them. Support OneMama‘s mission to bring prosperity and health to people all over the world by empowering women as caregivers, mothers, businesswomen, and agents of change for their rural communities. There are many ways to help – donate directly to OneMama or Sponsor a Staff Member or Donate to the Birthing Clinic.